It’s one of those truly under-rated odors. It seems very old books always have it, but in new books it’s a more volatile smell and must be savored quickly. 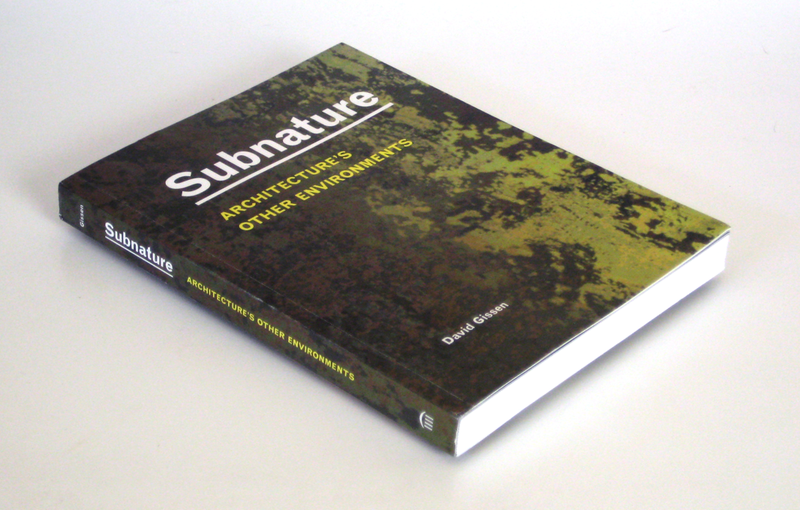 This past week I’ve been enjoying smelling (reading, looking, and holding) an advance copy of my new book — Subnature: Architecture’s Other Environments. If you missed my description of the book from earlier posts; you can read a little about it here and here. The book will be released in October, so please pre-order and hold tight; I promise, it will arrive soon. « The Parthenon Speaks, and She’s P.O’d.